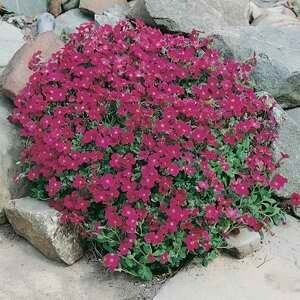 A cushion plant for rockeries providing colour very early in spring. Flowers in spring from a summer/autumn sowing. 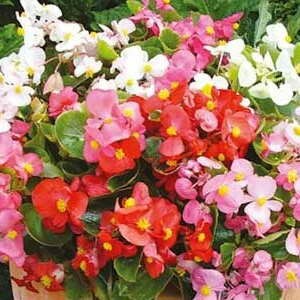 Excellent selection for baskets and large planters. Masses of eye catching lavender blue flowers. Excellent selection for baskets and large planters. Masses of eye catching white flowers. 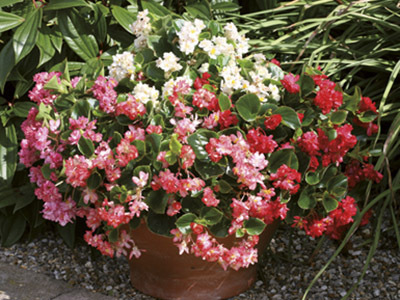 Senator and Ambassador Begonias combine excellent weather resistance and all season, long blooming flowers on a compact, well branched plant. 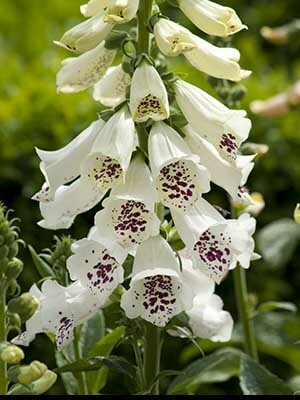 The prolific flowering nature makes it a favourite for mass plantings of colour in formal gardens or mixed container plantings. 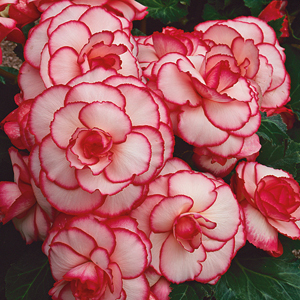 Another outstanding colour in the Ameri Hybrids Begonia series. 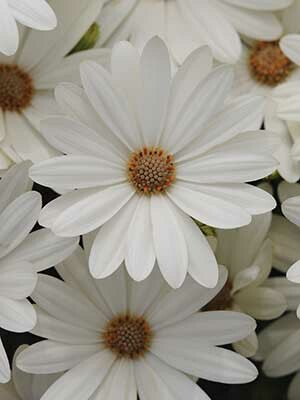 Red White has white petals with a fantastic red outline (picotee) around each petal. 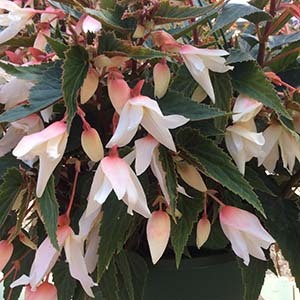 A totally eye-catching, fantastic addition to our selection for our avid Begonia lovers. 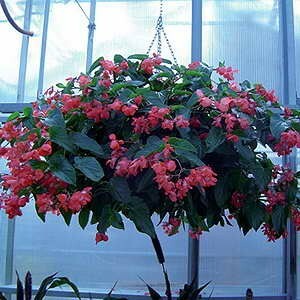 The newest and best basket begonia yet! A beautiful deep rose, almost luminescent colour. 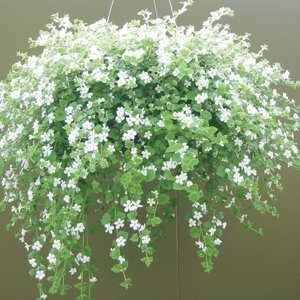 Plants get literally smothered in flower. Pure white petals and a deep rose calyx combine for an absolutely stunning display. 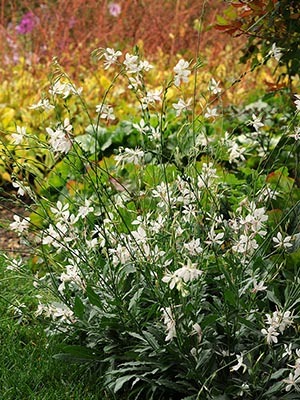 Large double and semi-double flowers held above neat green foliage. 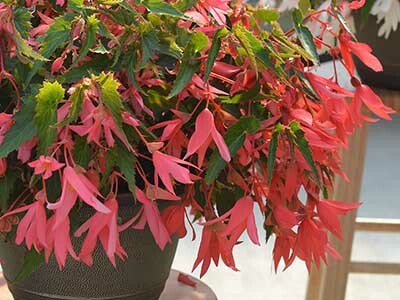 An eruption of bright red blooms and dragon wing shaped leaves smothers this plant. 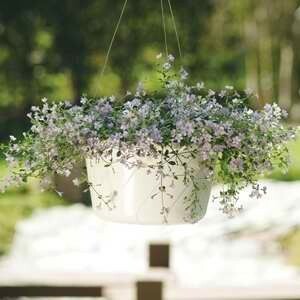 Amazing for hanging baskets and large pots. Also a great addition for border gardens. A new form of tuberous begonia. 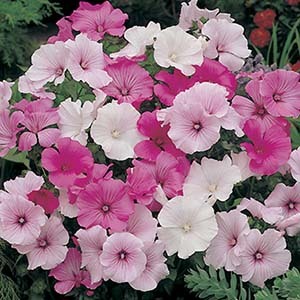 Bred to mound up and over the basket or pot with lots of smaller flowers all over.